A year ago I wrote a blog post about cuttings from the Bible of Pedro of Pamplona, all but one of which I believed to be in institutional collections. 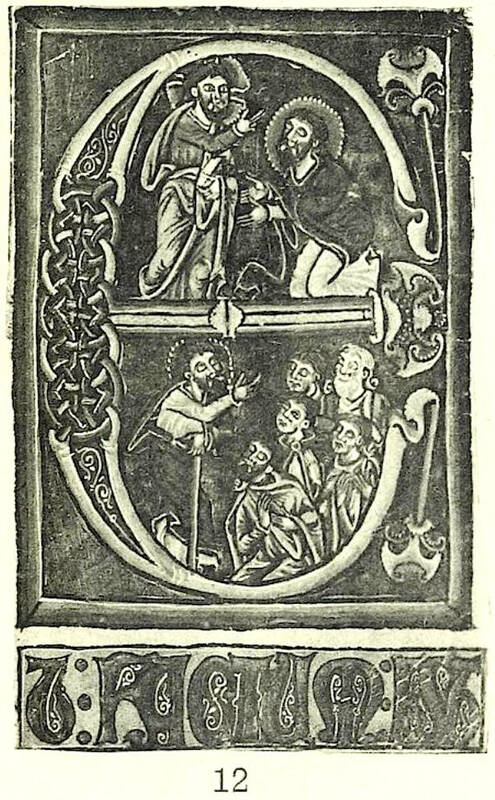 In correspondence with Geneviève Marièthoz, who is actively working on the Bible, I subsequently learned that six more initials are in a private collection in France. 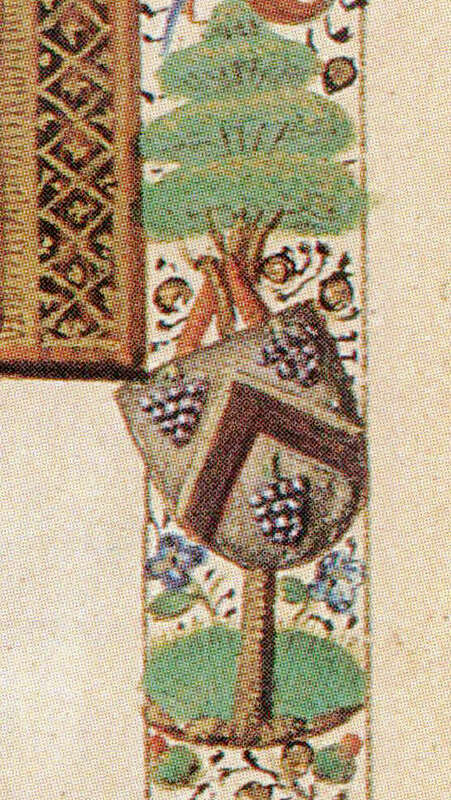 After reading the blog post about a manuscript in Liège with the arms of Jean(?) Budé, Dominique Vanwijnsberghe kindly told me about a late 18th-century illuminated leaf, added to a late 14th-century manuscript in the Morgan Library, New York (MS G.32, of which there are images and a description online), which also has the Budé arms half-way down the right border. 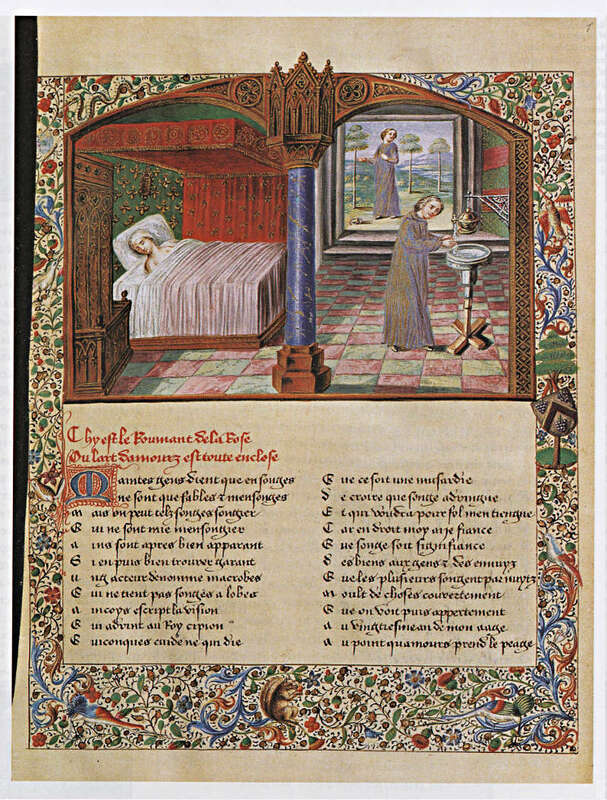 Visiting me in London a few weeks later Dominique very kindly gave me a copy of his excellent book, “Moult bons et notables”: L’enluminure tournaisienne à l’époque de Robert Campin (1380–1430) (Leuven, 2007), in which the image below is fig.285. 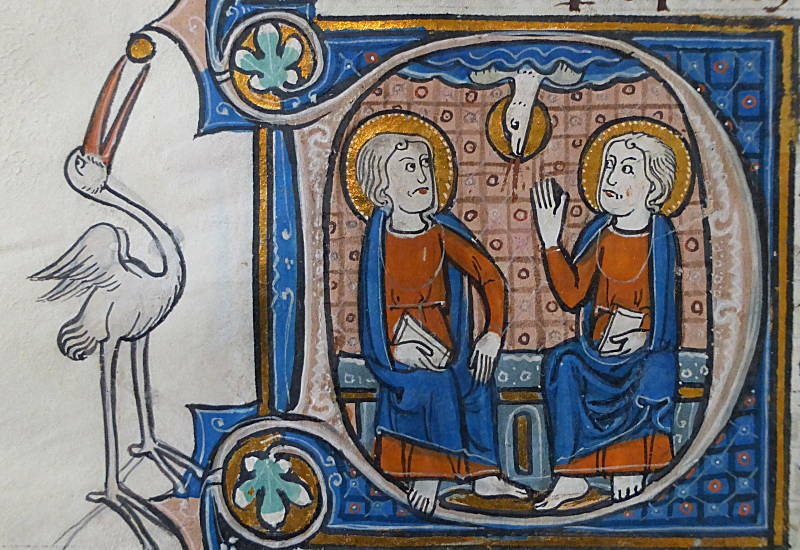 In a few weeks' time a well-known dealer will open an exhibition of manuscripts at his gallery in central London. He tasked me to check and revise the existing descriptions, and I undertook to amplify them with new research where possible. This led to some satisfying discoveries, some of which I may post about in the coming weeks. One of them arose from my recent investigations for this blog of the manuscripts in the 1926 Brölemann-Mallet auction catalogue, several of which were bought by Messrs William Permain for William Randolph Hearst.